Gum disease often starts slowly and may even be unnoticeable until your six-month checkup with Dr. Afar, West Hollywood dentist. Symptoms most commonly include bleeding while brushing or flossing. Gum disease is caused by plaque, a sticky, colorless substance that forms along the gumline and between teeth. 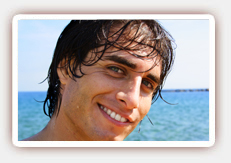 Plaque irritates the gums and can harden into tartar, which can only be removed professionally. If you have been diagnosed with gum disease, a deep cleaning procedure called a scaling and root planing may be necessary to remove plaque and tartar buildup. Our dentist may also create a treatment plan designed to address the underlying causes of the infection and restore gum health. You can also take advantage of natural and nutritional supplements to improve your gum health. Vitamin C has long been linked with gum health. An antioxidant, vitamin C repairs connective tissue and helps regenerate bone tissue. Citrus fruits, strawberries, bell peppers, broccoli, Brussels sprouts and cantaloupe can all be excellent sources of vitamin C. Vitamin D is another gum-friendly vitamin. It is essential for building strong teeth, but it’s also necessary for gum health. An anti-inflammatory, vitamin D can make your gums stronger and less susceptible to gum disease. Your body can make its own vitamin D when it’s exposed to sunlight, and you can enjoy fortified juices and dairy products. Tea tree oil is a powerful essential oil with natural antibiotic properties. When applied topically, it can help control and reduce gingivitis and bleeding. Talk to our dentist to learn more about how tea tree oil can be used to promote gum health. 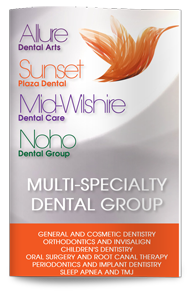 If you have symptoms of gum disease, contact Dr. Afar, West Hollywood periodontist, to schedule an appointment.